Portable Raman spectrometers offer a good option for fast in situ analyses and discrimination of gemstones in the cultural heritage and gemmology applications. Their relative affordability and ease of use makes them ideal tools able to complement traditional instruments in a gemmology lab. 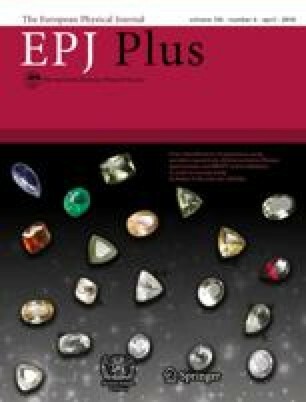 A test scenario of blind study based on identification of cut gemstones solely using their Raman spectra and online RRUFF database is proposed. A portable Raman spectrometer equipped with a sequentially shifted excitation (PSSERS) that allows recording of Raman spectra with supressed fluorescence background was used for acquisition of Raman spectra of a series of 20 previously unidentified cut minerals in gemstone quality. Obtained spectra were loaded into the freeware CrystalSleuth program that permits to search in the online database of Raman spectra of minerals RRUFF. In this way 19 out of 20 (with the exception of apatite) cut minerals or gemstones were correctly identified based on multiple similar matches of their Raman spectra in the database. These findings and the straightforward process described in this study suggest that a highly practical application such as basic gemstone discrimination using only portable Raman spectrometer and a free online spectral library is feasible even for a user not experienced in Raman spectroscopy and traditional spectroscopic references in the literature. Supplementary material in the form of a .pdf file available from the Journal web page at https://doi.org/10.1140/epjp/i2019-12596-y and accessible for authorised users.